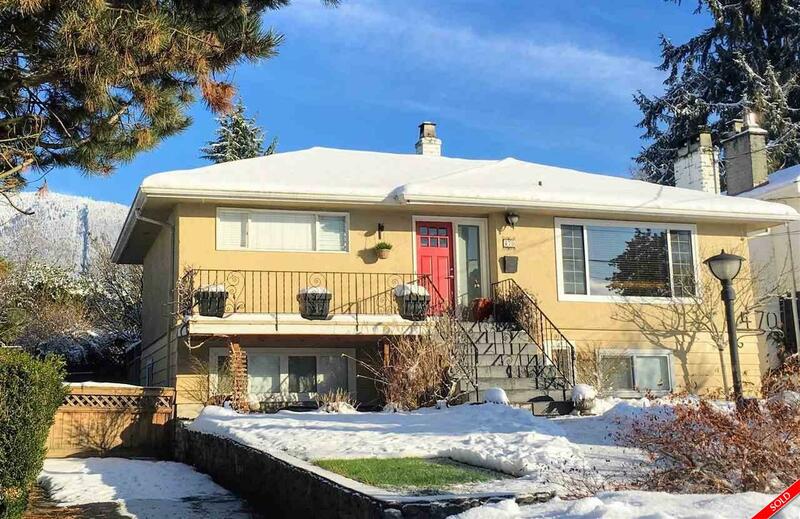 Description: Prime location in Upper Lonsdale is this solid bungalow, with partial city views, on a flat lot with no big trees. Main floor has hardwood floors throughout, 2 bdrms, large living room open to dining room & kitchen. Big deck off the back leads out to a hot tub & large rear yard, with lane access. Down is an additional 2 bdrms w/ rec room & bathroom, easily suiteable. Great opportunity for buyers to live in/rent out/or build on this 6100sq ft lot to maximize the views. Open House Sat/Sun Feb 18th & 19th, 2:30pm-4:30pm.